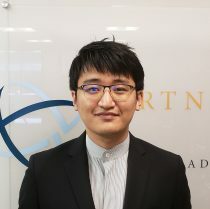 Yu (Tony) Pan is a Research Assistant at the Partnership for Global Security, where he focuses on nuclear security and nuclear energy within the Asian region. Born and raised in China, Tony holds a Master degree in International Relations from the George Washington University. His focus within his degree is in international security and Asian affairs. Previously, he completed research on the Cross-Strait relations, the Chinese military, the Denuclearization of the Korean Peninsula, and Japan’s security policy. Further, as a native Chinese, Tony has a special advantage in understanding Chinese affairs. He used to work with the best American Chinese experts including Dr. Michael Swaine, Prof. David Shambaugh. Right now, aside from working at PGS, Tony is also preparing to pursue a higher degree in the U.S.